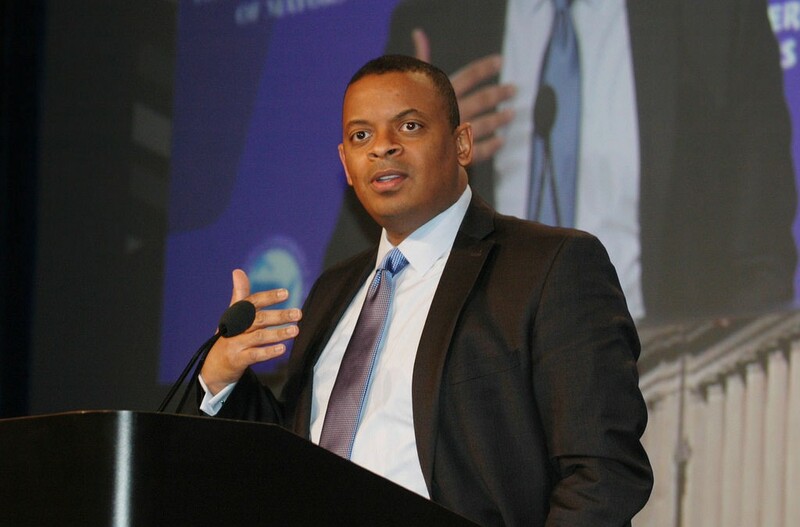 U.S. Secretary of Transportation Anthony Foxx August 6 held a virtual town hall, “Moving from Uncertainty to Long-Term Transportation Investment” to help draw public attention to the need for a permanent funding solution to shore up the federal Highway Trust Fund. “Congress has looked under every mattress and child’s car seat to find dimes and pennies to keep the trust fund going,” Foxx told the 3,400 viewers. As result of what he called the “accumulative impact of uncertainty,” Foxx said “some states have stopped planning and stopped building.” He called on members of Congress to address the long-term funding issue before their terms expire in January. Attention then turned to the President’s GROW America proposal, which calls for $302 billion in federal investment for surface transportation programs over four years. On the policy front, Foxx called for greater emphasis on moving freight, investment in transit, streamlining the permitting process, giving local communities greater say in how federal dollars are spent, and training more skilled workers. The Secretary also used the virtual event to announce plans to release a “30-year transportation report” before year’s end that will examine the nation’s growing transportation needs in order to help anticipate future freight and mobility challenges. And in mid-September, Foxx says the department will announce the winners of $600 million worth of TIGER Grants. This year, U.S. DOT received 800 grant submissions for projects totaling $9.5 billion, showing what Foxx called “amazing demand” for better transportation options. Secretary Foxx wrapped up the event with a grassroots call to action saying, “We can’t sit on our hands and wait until May 15…The temperature from the American public needs to increase.” He then asked people to share pictures of crumbling transportation infrastructure via social media by using the hashtag #investnow.